By janine / 11 November / Landscape design / 0 comm. One of the many enjoyable aspects of my role as a landscape designer is the diversity of requests I receive from my clients. Examples of such requests are these three gardens that have recently been completed. The North Beach courtyard project is made up of three individual courtyards having a Moroccan flavour, the North Coogee courtyard project incorporates a relaxed Balinese feel into its multiple courtyards and for a street-style vibe, the Yokine Courtyard project packs a punch with graffiti art by Joseph Boin. 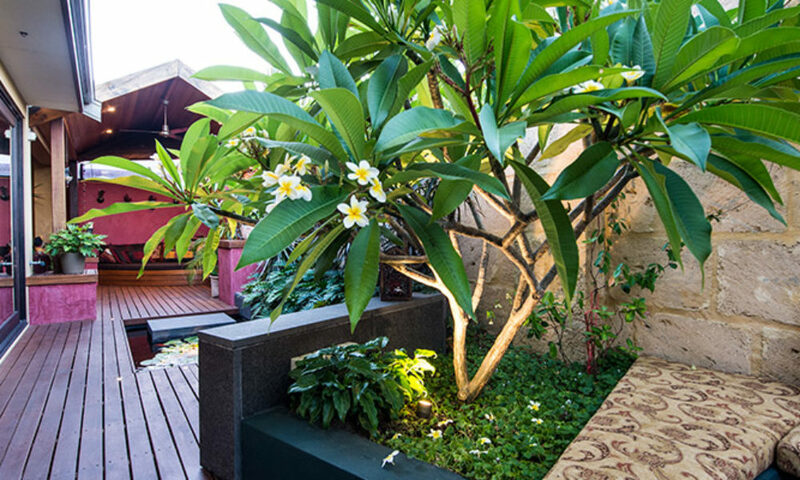 View more photos of these gardens in our Portfolio.